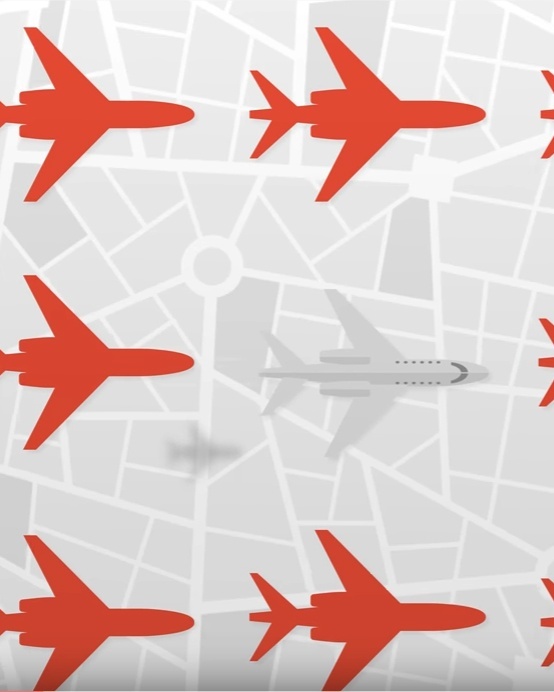 Were you aware an important Airworthiness Directive is coming due at the end of the year? How about how what could cause your transponder to reject the beacon signal from Air Traffic Control? No? Then you haven't read the April issue of the Duncan Intelligence. Corrosion doesn’t care what make/model business aircraft you have or how many flight hours it sees. All it cares about is getting its start and hoping you are not paying attention. To be eligible for any OEM warranty consideration, affected engines need to comply by October 1, 2017. If the transponder on your business aircraft is off frequency, it could begin to reject the beacon from ATC. 0xygen masks are an accessory that we hope we never need. But if the cabin pressurization system fails and our altitude is above safe levels, we really want those masks to work correctly. Duncan Aviation team members are among the most experienced in the business aviation industry and the quality of the service they provide is among the best in the world. So it comes as no surprise to us when others recognized and acknowledge what we already know. Congratulations Chuck on an award well-deserved. 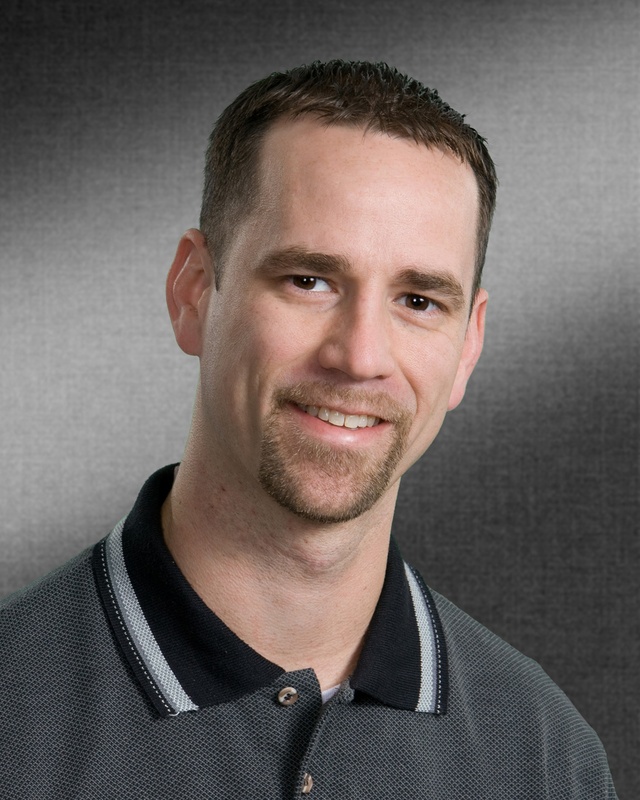 39-year-old Chuck Zahnow is an Airframe Technical Representative for Duncan Aviation in Battle Creek, MI. His great uncle worked on aircraft during WWII and he thought that would be a good path to follow. After high school he attended American Flight and Technology Center, a one-year trade school that has since closed due to low attendance. He has continued his education with aircraft specific training on most of the Citations, Hawker, and Falcon 50 EX and 20 at FlightSafety. Zahnow has also been fortunate in having many people guide him along the way. "I adopted early on that people are always willing to teach, you just have to make yourself available to learn. I have learned from so many I could not begin to list them." Zahnow started at Zantop Airlines, then went to American International Airways, and from there to Duncan Aviation. He currently works as liaison between the techs on the floor to Textron Aviation (Citation and Hawker) for all facets of airframe maintenance. He is also responsible for managing the tooling needs as it pertains to Textron aircraft and provides additional technical support to techs on the floor as well as external customers. This may mean a phone call, but could also include on-site support. Mark S. Chaney, senior director, aviation at Coca Cola Bottling Company, says, "Chuck Zahnow has shown a strong commitment to business/general aviation through his incredible work ethic and support of Duncan Aviation customers. I have seen evidence in his support of my company's aircraft as a Duncan customer and reports from other customers. Chuck also serves the industry through his membership on the NBAA Citation 500 Series Technical Committee. I have the pleasure of serving with him as a current committee member and former chairman. He represents his company and Citation operators through a strong personal and professional commitment to safety and product/process improvement. He exceeds all of the qualifications for this award. I expect to see great things for our industry from Chuck in the coming years." Zahnow is a member of NBAA and its Technical Committee for both the large cabin and small cabin Citation aircraft which helps to better the aircraft for the owners and operators. Duncan Aviation has also given him the opportunity to speak with high school students that are considering aviation as a career either by tours or by visiting with them at a local vocational center. As for the future, "I have never put a ceiling on my career. I have always considered each opportunity and made a decision that would best serve myself and my family. I have been fortunate to be at a company that recognized and promoted me along the way to get where I am." Chuck is one among many of whom we are very proud. Meet them all. 2016 was a special year. Thank you for being a part of it. Thank you for helping us celebrate 60 years of providing service to business aviation. We are proud of our family ownership and history of excellence, innovation and responsiveness. we are also truly grateful to have had the opportunity to work with you. We wish you a season of joy and the very best for 2017 and beyond. 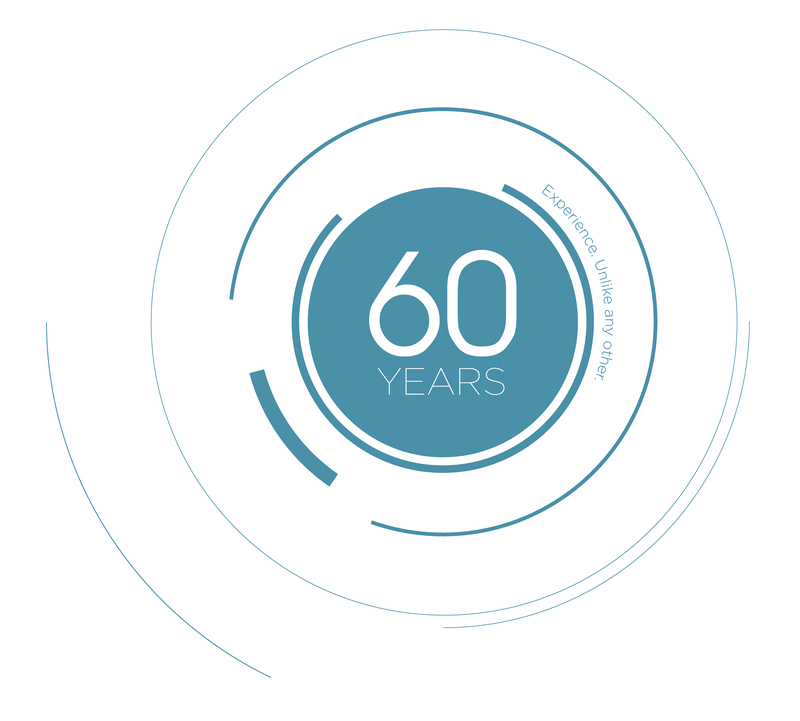 It is Duncan Aviation’s 60th year of helping business aircraft operators be safe, efficient and productive. For six decades, customers have asked us for solutions and services. We are celebrating our 60 years by telling the stories about the people of Duncan Aviation who listened and took action. 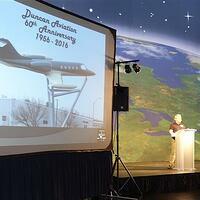 Duncan Aviation honors its 508 Veteran Employees. That’s 508 team members with thousands of years of military experience—and counting. During this Veterans Day, we pause to remember the sacrifices our Soldiers, Sailors, Airmen, Marines and Coast Guardsmen have made in serving our nation where and when they were needed. From one generation to the next, young men and women have willingly joined the ranks of America's Armed Forces. Aware of their obligations as citizens of the greatest nation on earth, they answered its call; they served the United States with courage and commitment. Duncan Aviation wants to say thank you to all veterans who have sacrificed much in the defense of this country. We proudly support our veteran employees and are honored by their sacrifice and are proud to work side by side with these brave men and women. We cannot thank them and their families enough for the sacrifices they have made for our nation. Duncan Aviation openly supports our Reserve and Guard members, who continue to sacrifice for our country. We honor each of you, America’s veterans, who served so faithfully and honorably. Through your sacrifices you have secured for millions of others the blessings of freedom, democracy and the unmatched opportunities that we enjoy in the United States today. May each of you have a safe Veterans Day. God bless each of you and your families, God bless our armed services and God bless the United States of America. We strongly encourage military personnel to apply for career opportunities. Duncan Aviation is an equal opportunity workplace and an affirmative action employer. 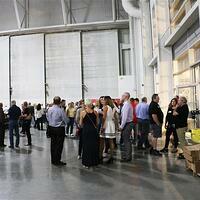 Duncan Aviation Throws A Party! 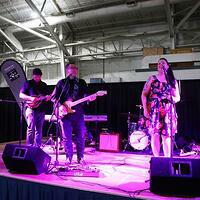 Last month Duncan Aviation threw a party; and not just one party, but two. Team members from Battle Creek, Michigan, and Lincoln, Nebraska, came together with members of the Duncan family to commemorate Duncan Aviation’s 60th Anniversary. They celebrated the values, spirit, and strong work ethic that formed the bedrock of the Duncan Aviation organization back in 1956 when Donald Duncan founded the company. 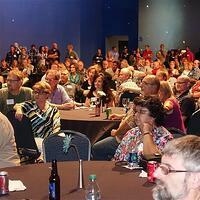 The Battle Creek celebration was held at the Air Zoo in Kalamazoo on Saturday, August 20, while the Lincoln team members gathered at the Strategic Air & Space Museum in Ashland on Friday, August 26. Several members of the Duncan family, including Robert & Karen Duncan and Todd & Connie Duncan, attended the celebrations and addressed the team members present. 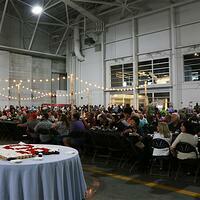 Duncan Aviation’s third maintenance facility in Provo will be hosting a 60th Anniversary dinner next month. On a weekly basis, I travel to meet with some of the most interesting and influential people in our industry; individuals who work hard providing leadership for business aviation’s powerful associations and lobbying efforts, key customers who understand the benefits of business aircraft ownership and aviation enthusiasts who simply love to fly. I truly enjoy the people in our industry and the support they have shown us for years. Rarely does a week go by when I don’t hear someone mention a Duncan Aviation team member by name. Describing their experience at one of our facilities, they let me know they consider our people experts, resources and friends. We’re serving customers in a very real way, letting them know we value their business and helping them operate their aircraft with success. Our reputation not only represents the highest in quality work, it is one company among many that stand united in a show of support for the future of business aviation. Every Duncan Aviation team member comes to work knowing that their dedication, hard work and knowledge matter not only to their customers and their company, but to the entire industry. Watch this video below and listen to several Duncan Aviation team members speak with pride about what quality means to them. Duncan Aviation today announced that the company plans to build a new business aircraft maintenance, modifications and paint complex at its Provo, Utah, location. The expansion will include a large maintenance and modifications center and an innovative paint facility. Building on nearly 45 acres of land at the Provo Municipal Airport, Duncan Aviation will add nearly 220,000-square-feet of buildings with its 166,000-square-foot maintenance and modifications center and its 53,000-square-foot paint facility. The maintenance and completions facility will have large hangar spaces along with backshop and office space. The new paint structure will have the latest down-draft air flow technology, including automatic monitoring and alarms, to provide the best paint environment possible for aircraft. To increase efficiency, the paint hangar is designed to accommodate multiple aircraft at once, utilizing a two-zone airflow system. With this design, Duncan Aviation paint teams can perform stripping, sanding, painting and detail work on multiple aircraft simultaneously. The facility will allow input of some of the largest business aircraft in use today, including Gulfstream’s 550, Bombardier’s Global Express and Dassault’s Falcon 7X. Duncan Aviation plans to break ground in the first quarter of 2017. The expansion will cost nearly $50 million and is expected to be completed by the first quarter of 2019. 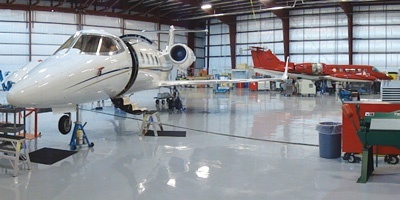 On August 1, 2010, Duncan Aviation opened its doors in Provo. Since then, the Duncan Aviation Provo team has provided major and minor hourly and calendar inspections, line-level engine and avionics support, and interior work for business aircraft from across Europe, the Pacific Rim and the Americas. In addition to this upcoming expansion, Duncan Aviation has invested nearly $200 million in facilities, tooling and new capabilities and nearly $48 million in training over the last 20 years. “We are dedicated to business aviation, our customers and team members and every decision we make is made with them and the future in mind,” Hilkemann says. Hundreds turned out for the ‎GAMA ‎Michigan ‪‎Jobs Rally held last Friday at Duncan Aviation in Battle Creek, MI, to recognize the importance of aviation and its contributions to our communities and state. Duncan Aviation's President, Aaron Hilkemann, along with U.S. Senator Gary Peters, from Michigan, and other aviation business leaders from Avfuel Corporation, L-3 Communications, and Williams International spoke in front of those gathered. 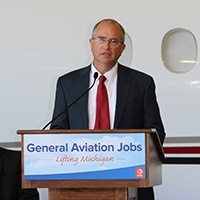 Each speaker addressed the crowd giving examples of how the aviation industry has positively impacted the economy of the state of Michigan, as well as the benefits to their communities, employees and families. Hundreds gather at rally, U.S. Sen. Gary Peters speaks, and Duncan Aviation employee Mark Strong listens. Below is the speech Aaron Hilkemann gave before several Duncan Aviation employees, aviation industry leaders, and students from Western Michigan University. 2016 is a special year for Duncan Aviation. 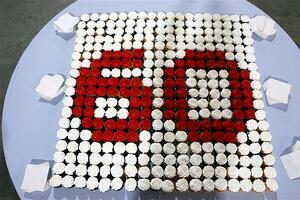 We are celebrating 60 years of providing business aircraft operators with safe, efficient and high-quality services. In 1956, Duncan Aviation was started by Donald Duncan when he bought a Beechcraft distributorship in Omaha, Nebraska. 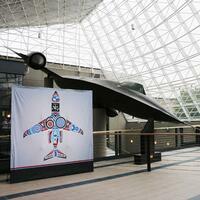 He had a passion for flight and an entrepreneurial spirit. He passed both along to his son, Robert, who ran Duncan Aviation for more than 40 years, and his grandson, Todd, who took over as Chairman in 2007 and is still very involved today. The Duncan family operates several businesses, but Duncan Aviation is the one they identify with the most. They love flying, they love the people involved with flying, and they’re proud of the culture they have built at the Duncan Aviation facilities. As a family owned aviation company, a culture of constant improvement, teamwork, focused vision and family atmosphere is vital to our growth. And it is a culture that we work hard to instill in all of our locations. In Battle Creek today we employ more than 600 people and we are currently hiring and expanding the team. These are interesting, career-inspiring jobs at many levels that include good health insurance, vacation time, 401(k) opportunities, a wellness culture and many other benefits. This is a place where people want to work. We see that in the number of job applicants who have been recommended by current team members, many of them family members. 96 Duncan Aviation team members have a family member working here in BTL, with more than 40 different families represented. We love it when our good, hard working team members recommend their own family members. One example is the Slee family. The Slees have had three generations who have worked here. Four Slees are currently employed by Duncan Aviation. Tom Slee Senior, who is now retired, started the tradition by taking a position in the paint shop. He was followed by his sons, Matt, who works in Structures, and Tom Jr in Paint. Now, Matt has two sons working here, Josh in Structures and Mike with the Fuel Team. 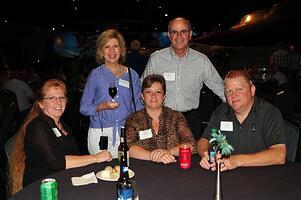 In addition, we have nine husband and wife combinations employed here at Duncan Aviation Battle Creek. Some even initially met their spouse here. Our company and general aviation as a whole offer a broad range of career progression opportunities. One example would be Tom Burt, who spoke earlier at this rally. He worked his way through college as a flight instructor and then started at Duncan Aviation as a beginning airframe mechanic. He progressed through customer service, sales, sales management and eventually into senior management. This is also an industry that provides long, solid careers for many team members. Here at our Battle Creek facility, we have 24 team members who have been working in the company for more than 30 years. 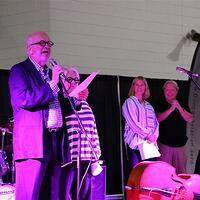 In fact, this year, Dale Vandelare celebrates his 40th anniversary. 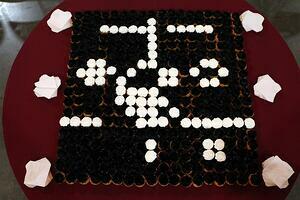 That is a nice, long, career and we want to congratulate him on that longevity. Our industry is also well-known for providing opportunities to veterans and those transitioning from the military. At Duncan Aviation, we have hundreds of team members who have served or are serving in the military. In Michigan, nearly 22% of our team members have military experience. We are proud to be in an industry that employs so many veterans! But our influence goes much further than the jobs we directly support. 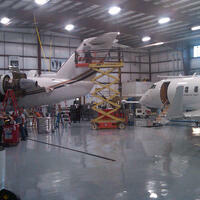 Our aviation business also supports a lot of good jobs in our communities. Because most of our customers come from a great distance, they often stay in local hotels, rent cars, eat in our local restaurants and spend money in our stores. We estimate that every year our customers buy 4,500 hotel nights in Battle Creek or Kalamazoo. They purchase more than 13,500 meals at our restaurants. They rent cars more than 5,000 days per year. And some, especially our international customers, leave with aircraft full of products purchased in our local stores. And we’re not alone. General aviation companies and jobs are good for our communities and states and we must be sure they continue to be properly supported and recognized for their contributions.